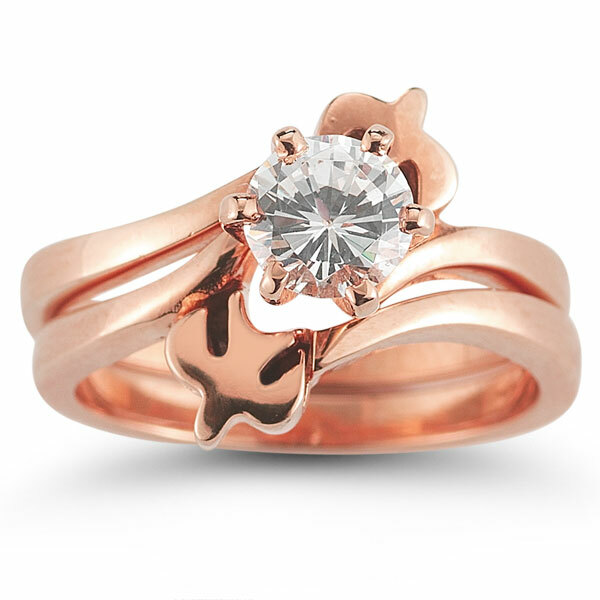 The beauty of rose gold is combined with lovely symbols of faith in this engagement ring set. The center focus of the ring is a gorgeous, round cut white diamond that sparkles at every turn. 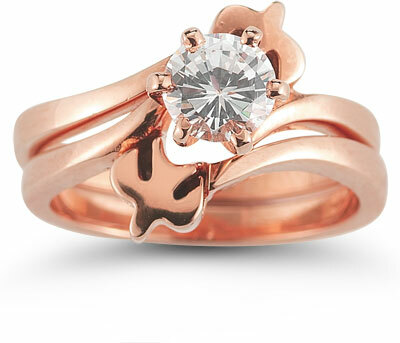 Two graceful doves symbolizing the Holy Spirit rest on either side of the diamond, creating a dramatic design element. 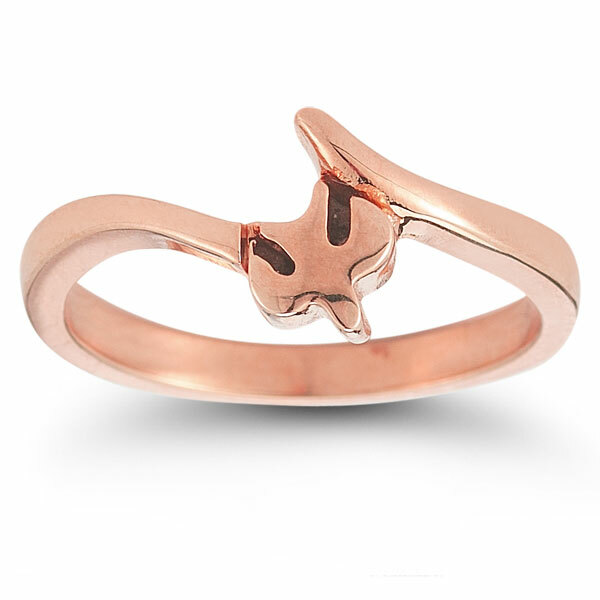 Crafted of 14K rose gold, the doves are radiant and rosy, and they flow seamlessly into two bands that perfectly complete this piece. 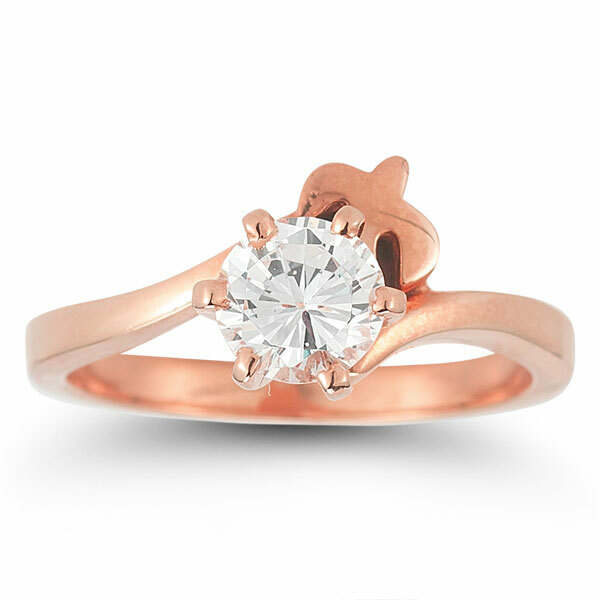 Apples of Gold Jewelry guarantees the Holy Spirit Dove Diamond Bridal Engagement Ring Set, 14K Rose Gold to be of high quality and an authentic engagement ring with real diamonds, as described above.